Thirteen-year-old Celeste Harris is no string bean, but comfy sweatpants and a daily chocolate cookie suit her just fine. Her under-the-radar lifestyle could have continued too, if her aunt hadn?t entered her in the HuskyPeach Modeling Challenge. To get out of it, she?s forced to launch Operation Skinny Celeste?because, after all, a thin girl can?t be a fat model! What Celeste never imagined was that losing weight would help her gain a backbone . . . or that all she needed to shine was a spotlight. A hilarious debut featuring friendship, family, mean girls and even celebrity crushes, Celeste?s story is a delicious treat that doesn?t add a pound. Erin Dionne writes humorous books with heart for tweens. Her titles--which are very long--have been named to several state reading lists, ALA lists, and have received some nice attention. 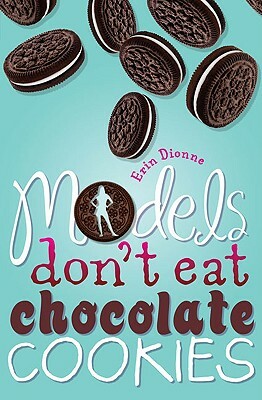 They include MODELS DON'T EAT CHOCOLATE COOKIES (Dial 2009), THE TOTAL TRAGEDY OF A GIRL NAMED HAMLET (Dial 2010), and NOTES FROM AN ACCIDENTAL BAND GEEK (Dial 2011). Her latest novel, MOXIE AND THE ART OF RULE BREAKING:A 14 DAY MYSTERY (Dial 2013), has the longest title yet and is based on the real-life Isabella Stewart Gardner Museum art heist. She spends an inappropriate amount of time on Facebook, teaches writing at Montserrat College of Art, and lives outside of Boston with her husband, two children, and a very indignant dog.